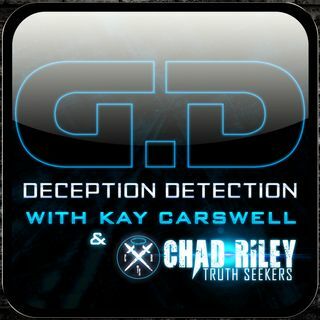 Joining Kay Carswell and Chad Riley on this edition of Deception Detection Radio is author, researcher and fellow podcaster, Johnny Cirucci. Delving into his book, Eaters of Children: The Pedocracy Exposed, they discuss many things that have remained hidden for centuries. Where did the pedocracy really start? When did it start? How and why has it remained so prevalent even in today's society? Find out all this and more as Deception Detection Radio and special guest, Johnny Cirucci, dive ... See More into the unthinkable. Nina Jefferson are you saying Carter and his wife are really JFK and Jackie?? I don't believe jfk + wife is dead. They are jimmy carter + wife. Another lie. Everything is a lie. I own this book and it is unparalleled. Amazing research and dot connecting. Johnny is an extremely kind soul as well.